We might get to see that in one of the movies, or in the back half of the show, maybe near the end or the last quarter. Well, we probably will see some change around the end of December since by then we should have gotten all Rider Watches going by the toyline. It's also alongside the movie where Zi-O will be teaming up with past Riders too, so there might be some connection to that. In the 6.5 Episode they went on to explain why the two were connected... and like the other 0.5 episodes they were pretty hilarious. For some reason they used a swear filter when referencing Bleach and any real names in the show... including the producer when the Faiz riders criticized the script. 6 episodes in and I don't think the show is anything too spectacular, it's OK at best and I did question the point of Sougo having to fight the Another Rider when Geiz would have stopped him... until I realised that he would have got the Fourze watch anyway so if Geiz got rid of the Faiz one first then Sougo wouldn't have to fight it. The .5 are just meta net movie episodes. It seems like a lot mainstream show want to be sarcastic and meta, but not cross the line too far with the adult jokes like YouTube. Fourze being in a big movie like deno while faiz didn't make it big was alluded. Yeah, the alumni didn't get the whole senpai respect and acknowledgement. 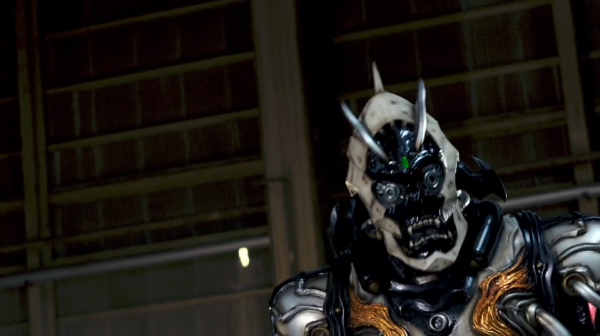 It's like ichigo looking back at the embarrassing edit of old rider while new rider cgi doesn't impress him. Honestly....I felt this was the strongest episode of the series so far. I'm typically not all that invested in 2-parters and prefer a more serialized approach to Kamen Rider but the story for this was damn good IMO. I think a lot of the little continuity errors I had were mostly patched up. First off, the scene where the Another Rider chokes Kusaka HAS to be reference to how Kusaka died in 555, because the angle was almost dead on. I love how Takumi still can't handle hot food, and I love how they tied in Faiz's plot with Fourze by having the Another Rider constantly transfer schools, which is how they came across Tsukasa. I don't know if Kiva did something similar, but having Zi-O and Geiz fight the same monster at the same time, but in different years (if that makes any sense) is a really cool setup for double rider action (technically). I like that how Fourze's episode matched the tone of that series perfectly, while the story and tone here feels like it came straight out of an episode of Faiz. The only thing is that at first, I was thinking that Karin was an Orphnoch, who we know have short lifespans (outside of Takumi apparently, who, despite Faiz's ending, managed to survive for at least 12 years after that). I thought the Another Rider was trying to prolong her life because of that fact. 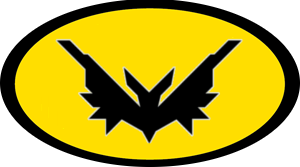 After all, it would make sense because the Faiz gear was created for the Orphnochs by the Orphnochs, so it'd fit that an "evil (eviler?) version" of the gear was able to just straight up sacrifice human lives to strengthen Orphnochs and increase their lifespan. Still don't understand the need for specifically 18-year old libras but meh, I'm not gonna nitpick too hard. Overall, great episode. I want to see where things go from here. Wow, I actually wasn't aware of that funny video ._. I kinda liked the emphasis on the Faiz part for this episode and I think they got the spirit of what was Faiz, it was almost like an episode of Faiz which is great. For the moment I won't judge the series I want to know where it is heading like this. Catching up on Zi-O 5 and 6 right now. The Another-Fourze costume is amazing. When he opens his jaw the red lens flip up and then back down when the mouth is closed. What an incredible costume. So far I'm loving these 'Another-Rider' costumes. Monstrous and really cool. 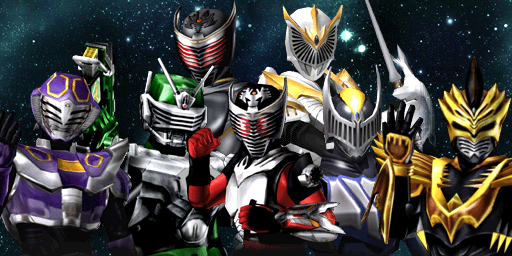 Plus it's really neat seeing new footage of past Riders and old characters returning for a couple episodes. I imagine this season might be confusing for people who haven't seen any of the Heisei Riders because they wont recognize them. Hopefully the story and characters are enough to keep new viewers interested though. They're sure putting a ton of money into costumes. ...damn that Fourze helmet is amazing. I couldn't believe it when the mouth opened and it 'blinked'. That's awesome. I'm honestly hooked on this series, as there is so much I can speculate about. Did we ever learn how Another Faiz became Another Fourze? Why is someone uninteresting as Shogo become a tyrant? How come Woz didn't interfere with Geiz using the Faiz Ridewatch? Why doesn't Decade's watch show up in the opening? So many things. 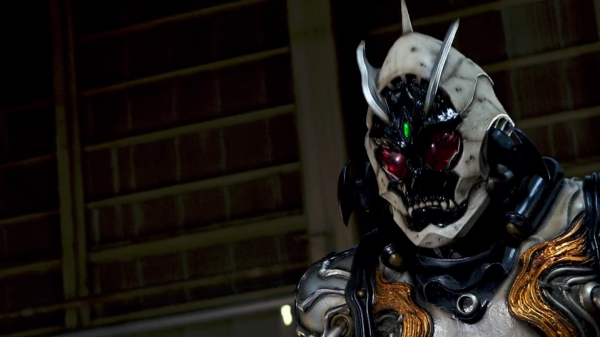 Other thoughts are probably Narutaki actually fearing Decade meeting Zi-O, which leads to the destruction of all riders, hence all his efforts to stop Decade. Schwartz is Oma Zio in disguise, using the Time Jackers to preserve his history. The blank Ridewatches will be integral to Heisei Generations Final's plot with them restoring those who already lost their powers. For Zi-O's mid season upgrade, he gains the ability to summon autonomous Rider Armors. The Faiz references are lost on me sadly as I've never seen it, but for this two parter, things are starting to be very interesting. I'm calling it now, whenever we have a Dual Another Rider Like Faiz/Fourze, Schwartz will be involved. The series has been a bit better than I expected based on the Writer's Sentai works, Goseiger and Ninninger, for those who forgot.While showing potential improvement, things still could go bad quick, but hey, a dull protagonist actually kind of fits this series based on his future self. How could he become so dangerous as Oma Zi-O? Sorry for all that, but felt like having to share that. Here's hoping to see the return of Mayonnaise in all his full glory next episode!